Direct Mail is a simple yet effective way to reach new and old customers. 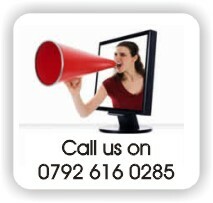 PSC direct mails are customer focussed and a valuable addition to your internet marketing campaign. You tell us your target market, your intended message and desired outcome and we will do the rest. Our professional copywriters will construct a mail out that will appeal directly to your customers in a way that will inspire them to act. 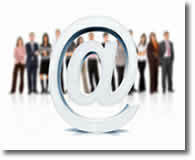 We can tailor your mail-out to a local market or globally via e-mail. Mailers are friendly and carry a personal, relevant message to the customer. Direct Mail has been proven to be a highly effective way of increasing sales. Mail anyone your message at any time, using any format. Send postcards, letters or colour brochures; the choice is up to you and your budget. You can target your mail to your specific customer base; choose precisely the audience you want to reach and speak to them, and only to them, one-to-one. Quick to prepare but also response time to direct mail is quicker as well. You can send as few or as many letters as your budget allows, and by monitoring how many order forms or reply cards you get back, you can easily measure results. Build an advertising campaign with confidence by first testing small mailing lists building to larger lists. With direct mail you can build and maintain a list of prime prospects for your future direct mail and advertising campaigns. When you see how effective your mailings are you will see that it is something that could potentially be self-funding. Like to know more about PSC Direct Mail/Email Marketing services? Contact us for more information.